When Facebook made it easy to share what videos you were watching, companies like Socialcam, Metacafe, DailyMotion and Viddy rocketed up the app-charts and saw a sharp increase in the usage and downloads of these apps. Of course, with this friction-less sharing actions came howls of complaints from Facebook’s users. Well, it seems the party has come to an end. 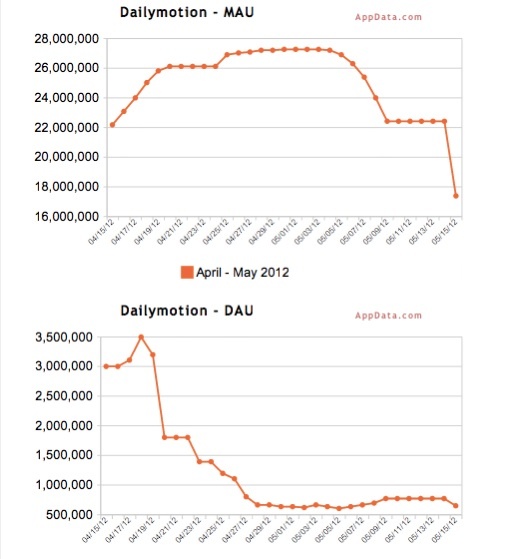 The reality check is eerily reminiscent of the decline in attention for social news-reader applications. 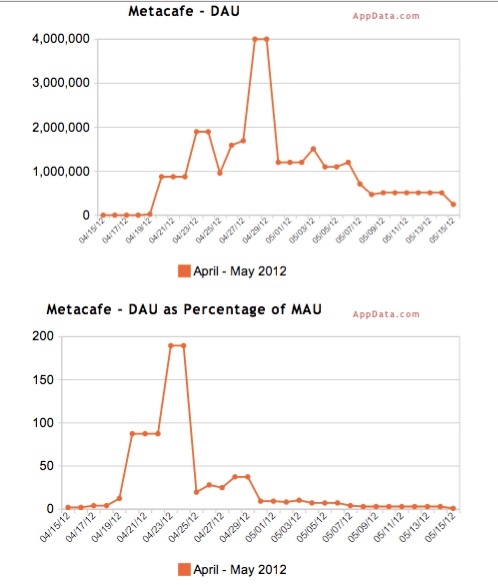 AppData.com statistics show a sharp decline in the number of daily active users of these services. In my post yesterday, Facebook giveth & Facebook taketh: A curious case of video apps, I had pointed out that this was going to be a short-lived bump and the focus for apps cannot be on raw numbers but on retention and usage. That is, and will remain, the hard part of these apps. Finding sustainable growth is not an easy challenge. As we have pointed out in the past, it is much easier to take and share photos (hence the popularity of Instagram) but capturing, editing and sharing videos is not as easy. Viddy, one of the social video creation and sharing apps, is betting that its roster of celebrity investors and friends would give the company a much needed jump start. 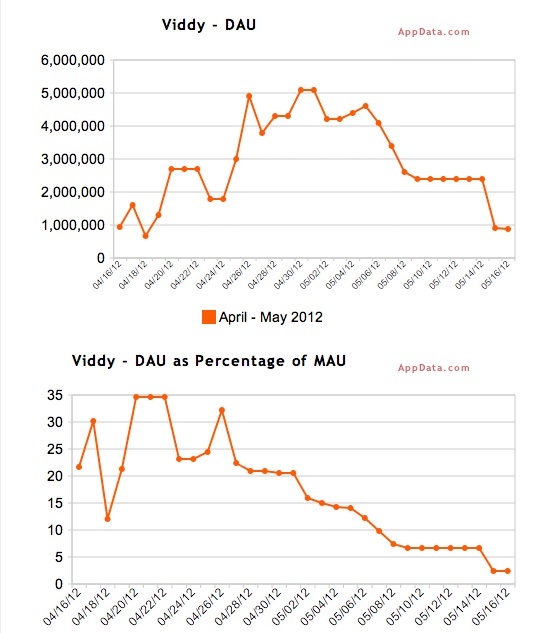 Today, Justin Beiber signed up for Viddy and has been sharing his videos. Socialcam, which had been injecting YouTube videos and sharing them through its player, is now going to have to find new and novel ways to share. The company made some changes today that are less spammy and address many of the issues I had brought up in my post yesterday. When you go to the Socialcam website there is a clear pop up explaining Social Mode. There is an uninstall Socialcam link in the blue Facebook box below the video. On Youtube videos Youtube branding is made extremely clear with Youtube approved logos. Any Youtube video in related is also clearly branded. Social Mode stay off when you switch browsers and/or log out. 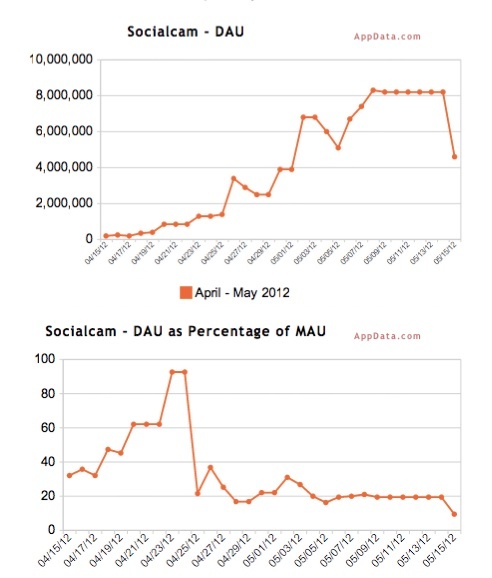 socialcam is spamming its users newsfeeds constantly. and you can set your privacy to stop sharing and believe it or not they will automatically change it back. I absolutely loathe social apps, games etc for Facebook. I’m always sharing stuff from sites (shame this sites’ mobile version hasn’t got any sharing options to click like “addthis”), but I hate sites automatically sharing my actions automatically and hate seeing such auto- posted spam on behalf of my Facebook friends on my wall. Facebook has already made it more and more difficult for (mobile) users to get to real news posts made by friends, what with comments from friends to people you don’t know, tags of friends by said strangers, social readers and other garbage polluting the news feed. It’s enough to make me block strangers’ and unsubscribe from friends every day helping me to make Facebook less and less relevant until I finally move to the next big thing. More people should do this. After all, the more strangers we block friends unsubscribed from and stricter our security (block ALL apps and sites people, “addthis” still works), the bigger the message we will give to Facebook and its business partners about what it is we want, and the easier it will be to jump ship if they refuse. An excellent follow up to yesterday’s piece Om, thanks. My question is: without Facebook’s social graph is it possible to build a sustainable video sharing app? The likes of Viddy and Socialcam are more interest-based networks, which is probably why they’re pushing hard for user growth to the detriment of user engagement.